There are currently no Reformed denominations in China, but Ref and Presb churches were an integral part of the history of Christianity in China. Missions from various countries have made a long and significant contribution to the Chris-tian presence in China. The first Prot missionaries, Robert and Mary Morrison, were Scots Presbyterians sent to China by the London Missionary Society (LMS) in 1807. Morrison’s work on the translation of the Bible is well known. •The first Americans to work in China were Elijah Bridgman, whose primary work was in the publication of Christian literature, and Peter Barker, the first medical missionary. Both were supported by the ABCFM. This early missionary society was nondenominational. The ABCFM was founded by members of the Congregational Church in New England but became the missionary society of Presb as well. Later, various Presbyterian and Reformed mission boards were in the vanguard of the growing number of societies at work in China. •In 1842 missionaries of the Reformed Church in America (RCA) established a mission station in Xiamen (Amoy), and their work later spread to the other areas of Fujian (Fukien) Province. In 1848 they built the first Prot church in China. •In 1844 the Presbyterian Church in the United States of America opened work in Ningbo (Ningpo). Over the next 50 years they founded eight other China missions in North China —Shandong, Jiangsu, Zhejiang (Chekiang), Anhui, Guangzhou (Kwangtung), Hunan, Hainan, and Yunnan. • In 1847 the English Presbyterians began work in Shantou (Swatow) and quickly established a close working relationship with the RCA missionaries in the same province. • In 1867 the Presbyterian Church in the United States (South) joined their Northern colleagues and founded two missions in Jiangsu and Zhejiang provinces. • Irish Presbyterians began work in Manchuria in 1869, working in close cooperation with missionaries of the United Free Church of Scotland who arrived in 1872. •The Church of Scotland established its one mission station at the Yangtse river port of Yichang (Ichang) in the interior province of Hubei in 1878. •The Presbyterian Church of Canada began work in the province of Henan (Honan) in 1887. •In 1897 the Cumberland Presbyterian Church in the United States began work at Changde (Changteh) in the fiercely antiforeign province of Hunan. Later, when the Cumberlands united with the Presbyterian Church in the USA, their work was merged with that of the Northern Presb. •The Presbyterian Church of New Zealand began work in Guangdong province in 1901. •At the invitation of the American Presb (North), the Korean Presbyterian Church began a highly successful mission in Shandong in 1913. 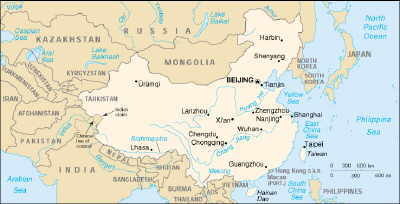 < By the first decade of the 20th century, eleven different Presb/Ref mission bodies were at work in China. They formed a substantial portion of the total Prot missionary presence. At an early date discussions began about establishing one united Chinese Presbyterian Church. Essential theological differences appeared between the various bodies. Distances and dialects presented an even more serious problem. Moreover, each related differently to their home boards, which presented an obstacle for unity in China. The first successful plan of church union was effected by the Reformed Church in America and English Presb in Fujian Province. Here a united presby (“Tai-hoe”) was formed in 1864 which was independent of its mother churches both in America and Great Britain. Known as the “Amoy Plan,” it placed strong emphasis on self-government, self-support, and self-propagation. The first attempt at establishing a united church on a national scale came in 1874 when the Northern Presb sponsored a conference to explore ways of establishing one Presbyterian Church for all of China. All Reformed and Presbyterian bodies plus the English Bapt and the ABCFM sent representatives to the conference. As a first step toward general union, a confederation of Presb churches was established which encouraged a greater degree of cooperation in local areas. The third meeting of the Council convened in Jinan (Tsinan) in 1914, with delegates from churches with approximately 60,000 communicant members in Manchuria, Hebei, Shandong, Henan, Anhui, Jiangsu, Zhejiang, Fujian, and Guangdong. The Chinese delegates without exception were in favor of moving as soon as possible toward consummating the union by forming a General Assembly. The issue was referred to the presby for a vote. The next year the Council met in Shanghai, with the overwhelming number of presbyreporting in favor of establishing a General Assembly; shortly afterward a committee was appointed to work on a proposed constitution. The General Assembly of the new Presbyterian Church met in Shanghai on April 1922, representing 6 synods, 25 presby, and 77,000 communicant members. The Rev. P. Frank Price of the Southern Presbyterian Mission was elected the first moderator. An extensive debate on the name of the new church was held. The Chinese delegates were strongly opposed to including any denominational name and also opposed to including the word “united” on the grounds that the new church was to be in its own right a Chinese church and not just a “union of Western denominations.” The name chosen was “The Church of Christ in China” (Chung Hua Chi Tu Chiao Hui). An invitation was extended to other church bodies to join in a wider church union. As the momentum for church union continued to build, two of the oldest and most prestigious mission boards —the London Missionary Society (LMS) and the ABCFM — decided to enter the negotiations even though they were congregational in polity. Later the following bodies joined the union movement: English Bapt, the Disciples, the Swedish Missionary Society, some indigenous Chinese churches, and some affiliated with the China Inland Mission. But undertaking a wider union so soon after the Presb had united was risky business. The broader the union became, the more difficult it would be to include missions and churches with different views on theology and polity. The Rev. Asher R. Kepler, Presb, USA, was asked to serve as the organizing secretary of the proposed union. For the next five years negotiations continued toward translating the high ideals of the union movement into practical reality. The Church of Christ in China (CCC) was consummated when the first Assembly met in Shanghai in October 1927. Present were 88 commissioners (66 of whom were Chinese) representing 11 synods and 46 district associations with 120,000 communicant members. The new church included approximately one-third of the Prot Christians of China. Dr. C. Y. Cheng, whose background was with the LMS in Peking, was elected moderator. In general, church polity followed the historic Presb form, with local sessions governed by either elders or deacons. District associations corresponded to presby. Synods, based on geographic areas covering one or more provinces, formed the basic structure of the CCC. Each synod had the freedom to organize itself according to its own principles — in many cases following the predominant denominational polity of the church or mission in that area. Matters such as baptism by sprinkling or immersion, infant or believer’s baptism, and ministerial ordinations were left to each synod. The Assembly representing the national church met every three or four years. The constitution included a “Bond of Union” and a brief statement of faith which affirmed (1) “Our faith in Jesus Christ as Redeemer and Lord ...(2)The Holy Scriptures of the Old and New Testaments as the divinely inspired word of God, and the supreme authority in matters of faith and duty, and (3) the Apostles’ Creed as expressing the fundamental doctrines of our common evangelical faith.” A committee was appointed to draw up a more complete confession of faith, but it was never completed because of the turbulent nature of the times. The history of the Church of Christ in China spanned twenty years of war and revolution. During the critical years of the conflict with Japan (1937-48), the CCC operated two headquarters — one in Shanghai and one in Chengdu in West (Free) China. During these years the CCC engaged in numerous relief activities, including service to wounded soldiers, and expanded its pioneer missionary witness to China’s western frontier. In 1948 it reported an adult communicant membership of 166,000 with a Christian constituency of half a million. The fifth and last meeting of its General Assembly was held in Suzhou in 1948. While it never achieved the hope of bringing together the bulk of Prot Christianity in China, the Church of Christ in China represented a substantial proportion of the whole. It sought to establish an identity as an indigenous Chinese church and, with the exception of distinctively indigenous Chinese movements, came nearer to that goal than any other church in China. Many Chinese involved in the history of the CCC bore a significant witness in the ecumenical movement (Cheng Chingyi at the Edinburgh Conference in 1910, Timothy Tingfang Lew at the Lausanne Conference in 1927). Reference should be made to the continental European mission societies working in China during the 19th and 20th centuries. Though their mission work was not specifically Reformed, the Ref heritage played a role in their interdenominational efforts. In 1847 the first four missionaries of the “Evangelische Missionsgesellschaft in Basel” (Basel Mission) and of the Rhenish Mission Society in Wuppertal-Barmen arrived in Hong Kong. Both societies had finally responded positively to the requests repeatedly issued by Karl A. F. Gützlaff. After a brief period of common efforts the two societies began to work independently: the Basel Mission among the Hakka, mainly in the east of Guangdong province, and the Rhenish Mission among the Cantonese in the south of Guangdong province. The two missions did not seek to set up denominational churches. Missionaries were of both Luth and Ref background. The Rhenish Mission, with its roots in the Prussian Union (cf. Germany), recruited its missionaries among both Luth and Reformed. The churches which resulted from their work merged with other existing churches in 1957 when all denominations in China became defunct. In 1980 they became part of the China Christian Council (cf. below). In Hong Kong, the Tsun Tsin Mission and the Rhenish Mission joined the Lutheran World Federation in the ’70s. The Berlin Mission Society began work in Guangdong and Jiangxi provinces in 1882, and was active in Jiaozhou, Shandong province, from 1898 to 1924. Though missionaries were both Luth and Reformed, the congr which resulted from their work were integrated into the Lutheran Church and later became part of the China Christian Council (cf. below). An important Christian community has developed in the northeastern part of China among the population of Korean origin. Koreans immigrated into the area from the second half of the 19th century to the end of World War II. They number today about two million. At an early date Korean and Canadian missionaries were active among them. The congr which were founded belonged to various presby in Korea. In 1921 the independent Gando Presbytery was established; its name was later changed into Dong Man Presbytery. In 1938 there were altogether about 22,000 Presb in the area. In 1940 all Christian communities, regardless of their denominational identity, were forced by the Japanese occupation authorities to organize themselves as the Korean Christian Federation of Manchuria, later called the Korean Church of Christ in Manchuria. After World War II the number of Koreans drastically decreased and only a few Korean Christian communities survived. With the end of the Cultural Revolution their situation was eased and their numbers began to grow again rapidly. When in 1992 China and Korea established diplomatic relations, more and more Korean missionaries became active in northeastern China. Most of them operate without coordination with the China Christian Council. Many regard northeastern China as the base for future missionary work in North Korea. After the establishment of the People’s Republic of China in 1949 all missionaries had to leave the country and all church councils, assemblies, and synods with ties to the historic Western churches were dissolved. Their place was taken by the distinctive Chinese church organization called the Protestant “Three Self Movement.” Many leaders, at both national and provincial levels, took part in this movement and saw it consistent with what their Ref heritage taught them (H. H. Tsui, Peter W. H. Tsai, and Peter Wong). In eclipse during the ten years of the Cultural Revolution (1966-1976), it reemerged in 1979 when religious activities were again officially admitted. < During the years of repression Christianity, especially Prot Christianity, has grown considerably and has increasingly taken root in China. Today, several million confess the Christian faith. In 1980 the China Christian Council was founded; it includes practically all former Prot churches. There are, however, Protestant communities which exist apart from the China Christian Council and the Three - Self Movement. Prot Christianity in China considers itself “post-denominational”; the China Christian Council seeks to serve all Protestant communities in the country. The China Christian Council seeks to become one united Christian — Protestant —Church. This process has not yet been completed. But a common order, designed in 1992, has been officially adopted by the Sixth National Chinese Christian Conference in January 1997. The order incorporates Ref elements in its recognition of the role of elders and the laity. The China Christian Council was accepted as a member of the World Council of Churches in 1991; it maintains close relations with many Ref and Presb Churches around the world. Through the 19th and 20th centuries, Ref churches contributed to the educational, medical, and social welfare developments of the Chinese nation. Although there are no Presb or Ref churches in the People’s Republic of China today, the Presb/Ref church heritage has made a distinctive contribution to the vital and growing Christian movement in that land in terms of worship, liturgy, theological education, and polity.